RIGHT IN THE MIDDLE OF THE ACTION AT MOORE PARK, THIS FULLY FURNISHED UNIT IS MODERN, QUIET WITH A COMMUNAL GARDEN, QUALITY INCLUSIONS AND JUST 15 MINUTES FROM THE SYDNEY CBD. What a location! 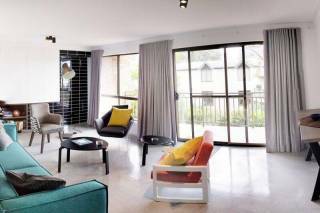 A delightful fully furnished apartment, with two bedrooms and 1 bathroom with a quiet garden setting, makes the ideal base for enjoying the best of Sydney. 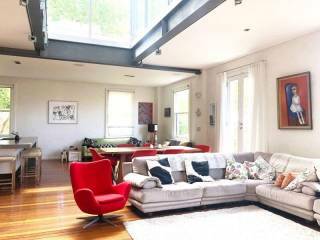 The living area is light and airy and flows to the patio with large gas BBQ and garden. 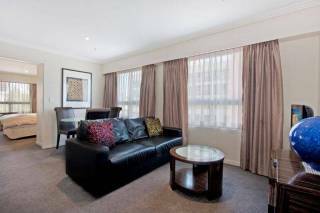 There is TV, Foxtel, DVD, Stereo, intercom, security entrances, reverse cycle air conditioning and beautiful polished floors. 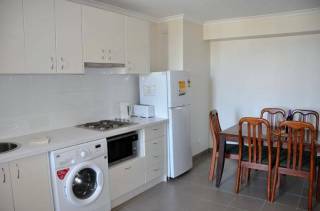 Dining room comfortably seats 6, the kitchen is large and bright and is equipped with quality appliances. There is an internal laundry with separate washer and dryer. Main bedroom is large, with a queen bed, built ins and natural light. Second bedroom has 2 single beds and builtins, and both are fully carpeted including ceiling fans. The fully renovated bathroom is very spacious and has a full bath. The apartment is opposite the Equestrian Centre, a short stroll to Fox Studios with their cinemas, cafes and restaurants, a few minutes more to the SCG and the Football Stadium, Centennial Park with its many walks and picnic areas, a golf club and is close to trendy Paddington with its boutiques, cafes, pubs, clubs and restaurants. There is fast access to the North Shore and Northern Beaches, 15 minutes to the Airport and easy access to the south coast and the M5 to the south west. Right on public transport, express buses whisk you to the Sydney CBD in around 10 minutes, and Bondi Beach is only 15 minutes away. Cannot be bettered as a base for enjoying all the excitement of Sydney.